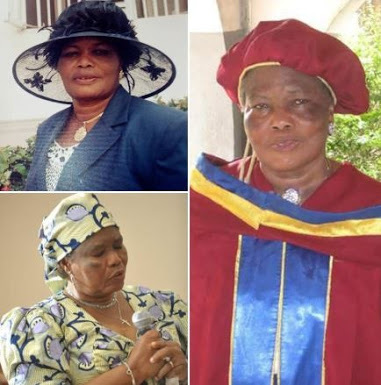 Dr. Sarah Adenike Morocco-Clarke, Nigeria's first female banker, has died at the age of 80. Born on the 13th of May 1938, she passed away peacefully on Sunday, 16 September 2018, after a short illness. Sarah Morocco-Clarke, an alumnus of Queen's College Lagos, started her career with First Bank as a pioneer female employee, rose through the ranks at First Bank Nigeria and was made the Services Manager and Secretary to the South Administration, wherein she had a mandate that covered the services of all the First Bank branches in Southern Nigeria. She was also an Area Manager in the Western part of Nigeria. Popularly known as the 'Iron Lady' , a moniker seemingly taken from references to the then British Prime Minister, Margaret Thatcher, Sarah Morocco-Clarke was given this nickname because of her stern mien and no-nonsense attitude professionally. The Morocco-Clarke matriarch leaves behind six successful children, thirteen grandchildren and three great-grandchildren. May her soul RIP!